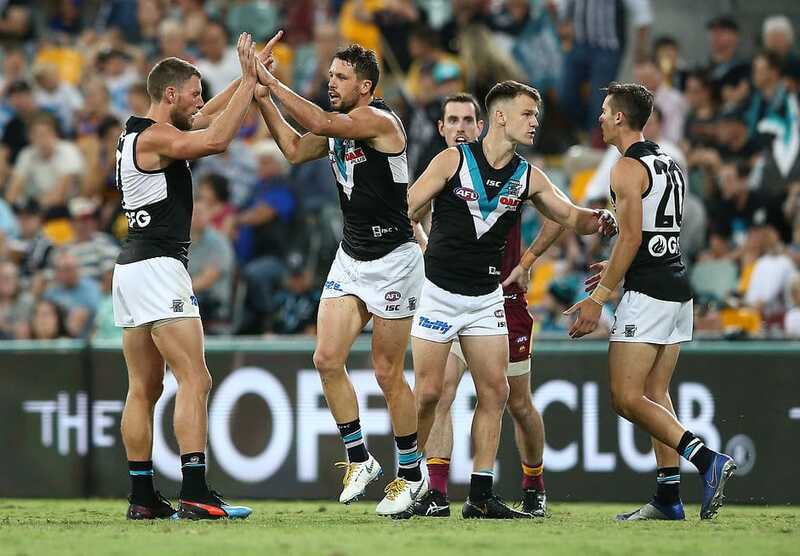 PORT ADELAIDE will take an unchanged line-up into Saturday’s blockbuster clash with Richmond at Adelaide Oval in Round 4. Tom Rockliff and Robbie Gray – who were each under an injury cloud after last week’s game against Brisbane - both trained strongly in Thursday’s main training session and have been named to face the Tigers. Senior assistant coach Michael Voss said while the team was disappointed with the loss to the Lions, it was important to factor in the form of players over the first three rounds. Matthew Broadbent, Kane Farrell, Todd Marshall and Sam Mayes are the four emergencies. Any emergency player who is not required at AFL level will play in the SANFL on Sunday. The first bounce of the Power and Tigers clash will be at 4.05pm on Saturday afternoon. The Magpies will have to make at least two forced changes from the team that was defeated by South Adelaide in Round 2. Skipper Cam Sutcliffe will miss the clash with North Adelaide with a hamstring strain, while ruckman Billy Frampton has been suspended for two games. Joel Garner, Mitch Mead, Ben Edwards and Sam Davidson come into the squad. Port hosts the reigning premiers at Alberton Oval from 2.10pm on Sunday 14 April.